When four Douglas County deputies arrived at Matthew Riehl’s apartment in the early hours this past New Year’s Eve, they knew the 37-year-old man was mentally ill. His doctors, family, former college professors and other law enforcement had repeatedly raised concerns months before. Lone Tree police sent an alert to other Colorado agencies warning Riehl could be dangerous. When the deputies typed Riehl’s address into their in-car computers, the warning appeared. 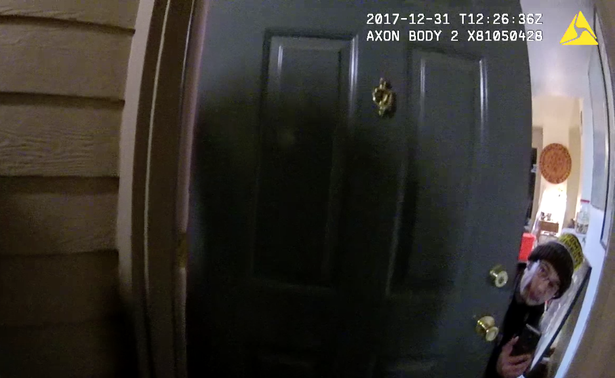 EXCLUSIVE: John Ferrugia speaks with the mother of Matthew Riehl, the mentally ill man who killed a Douglas County sheriff's deputy on New Year's Eve. The full episode of "Imminent Danger" will air Thursday, April 26 at 7pm on RMPBS. Douglas County Sheriff Tony Spurlock and Riehl’s mother, Susan, both say if Colorado had the same law that nine other states already have, then Matthew Riehl and Deputy Zack Parrish likely would be alive today. “Nobody needed to die that night,” Susan Riehl told Rocky Mountain PBS in an exclusive interview. “I think if we were to adjust our statute, we would have been able to intervene much earlier and most likely would have been able to eliminate the situation on New Year’s Eve from occurring,” Spurlock said. Colorado does not have what other states call a red flag law or a gun restraining order. It allows a family member or law enforcement officer to petition a judge to temporarily remove a person’s guns for safekeeping until their mental health is restored. 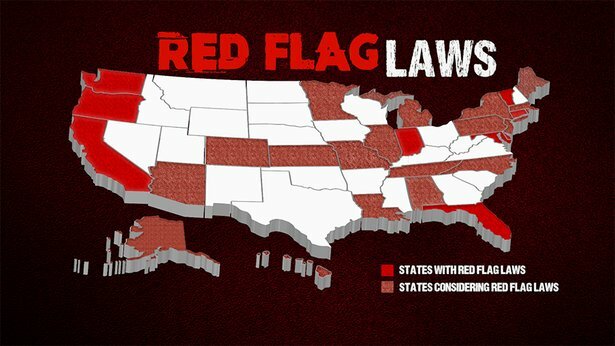 Nine states have red flag laws. About 20 states and the District of Columbia are considering them. Florida implemented one after the Parkland shootings. Colorado law currently only allows a mentally ill person to be taken into involuntary treatment for up to 72 hours if that person is deemed an “imminent danger” to themselves or others, meaning they are threatening harm right now. Authorities can only remove a gun if it is in the mentally ill person’s immediate possession. Once the mental health hold is over, the person’s weapons must be returned. Last year in Colorado, more than 34,000 people were declared imminent dangers to themselves or others because of mental health problems. That’s an increase of 300 percent in the past decade, RMPBS found. Note: This number isn't the total statewide; it's just the total at designated facilities. A 27-65 designated facility means an agency has applied for and been approved by the Department of Human Services under 2CCR 502-1 volume 21 to provide mental health services on an involuntary basis. Deputies had been to Matthew Riehl’s apartment twice that night. They left the first time without taking Riehl into mental health treatment because he didn’t meet the “imminent danger” standard. And they had no authority to put into safekeeping the arsenal of guns that Riehl said he had in his room. Colorado lawmakers are trying to introduce a red flag bill in this year's legislature, but it is not clear whether it will move forward. Both Republicans and Democrats in Colorado’s state legislature have concerns that removing the standard of “imminent danger” could infringe on the rights of citizens who have mental illness. “I oppose removing the word ‘imminent,’” said state Sen. Kevin Lundberg, a Republican from Berthoud. Lundberg voted against a failed red flag law in 2014 that would have removed the “imminent danger” standard for involuntary mental health care. Mara Elliott, city attorney in San Diego, Calif., said California built in safeguards to its red flag law to protect the mentally ill, including a hearing within 21 days of the petition to the court. Neither the police, city attorney, nor the family make the decision. Elliott said since the law went into effect in 2015, there have been 19 successful petitions in San Diego for involuntary mental health treatment and temporary safekeeping of guns. Gov. John Hickenlooper supports changing Colorado’s law. Matthew Riehl’s mother had tried to separate her son from his guns before. Like the time he had a mental breakdown while in law school. She took the former Army veteran to the VA hospital and hid his guns. But Matthew Riehl checked himself out of the hospital and his mother had to return his guns. Spurlock, the Douglas County Sheriff, said Colorado’s high legal bar prevented his deputies from taking action when they first encountered Matthew Riehl on the night of the shooting.